I have spent the past year working in a tea shop, a shop that is very peculiar, old-fashioned and full of great inspiration. There are things to look at in every nook and cranny at The Tea Centre of Stockholm, but one thing that captures most visitors’ attention is the vast collection of different tins and tea caddies. Despite having been worked there for a while now, I still find new things to look at in the shop. I want to start a vintage tin collection of my own, however having learned so much about tea and slowly building up a pretty sizeable collection of great tea, I am keen to keep it fresh for as long as possible. Something which can be tricky in old, banged up tins! 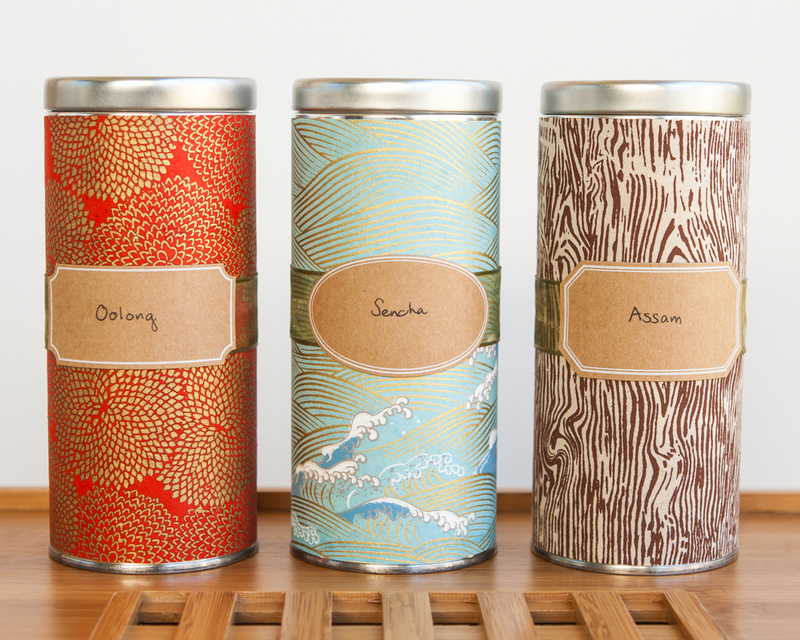 I still love the aesthetic of tea tins, and love that they can have many uses beyond storing tea. I thought I would share some other blogger’s inspirational DIY projects that involve the use of tea tins, some re-purposing and some fixing up plain but usable tin. I am in love with this DIY, and will definitely have to try it out. I just need to find some plain tins and some awesome Japanese paper, because the paper quality is really key for this DIY. I was super impressed with the finished looks and actually clicked on the link because I thought these were tins for sale. 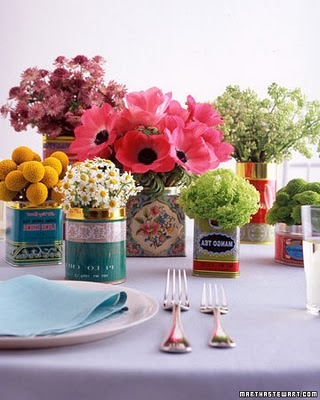 Sarah’s tins are gorgeously bright and colourful and go so well with these cute plants! I am a huge fan of succulents, they are the one plant I can’t seem to kill (even a cactus has died painfully in my arms) and this is such a fun way to reuse old tins. The best part is that succulents do not require much water so the tins won’t be at too big a risk of rusting. If I had open cupboards and a kitchen with lots of natural light, I would jump on this DIY by House and Home as well as DIY Central! I love how these tins look with big bushy herbs in them. 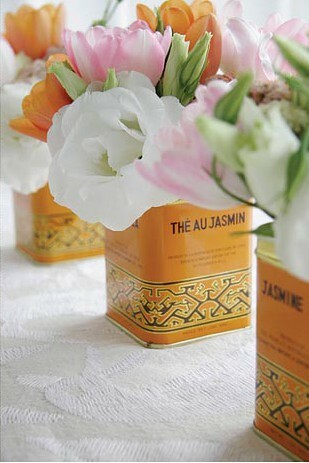 This is a really cute thing I would try, if I had more tins than teas! A really nice way to use a special tin, perhaps not one you are too precious of though as older tins may not respond too well to hot wax. The great thing is you can re-use the tin once you have used up the candle by just pouring boiling water into it to loosen leftover wax. 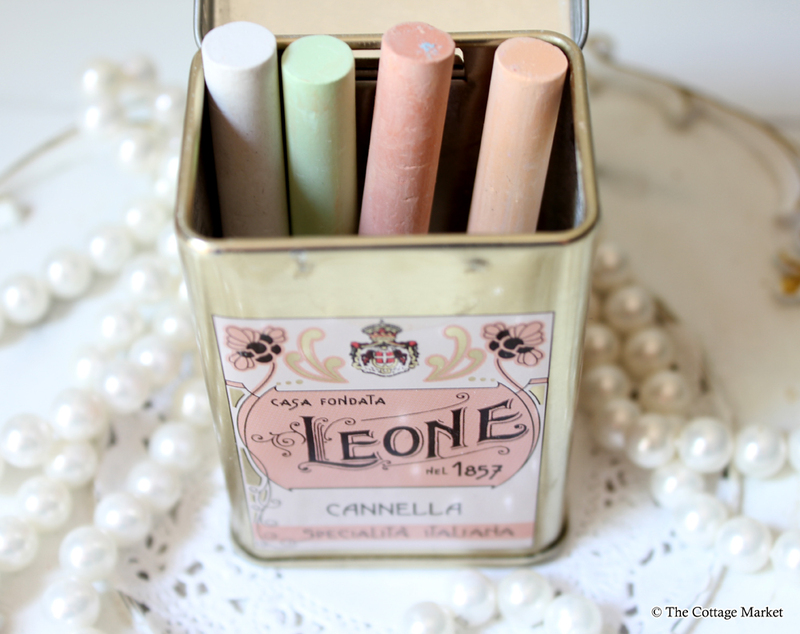 I love the look of this pastel tin with these chalks inside, perfect if you have one of those magnetic chalk boards! I would skip the lid embellishment that this DIY adds, but all in all a cute example of how adding one small thing, in this case a magnet, can completely change the purpose of an item. Personally I use one of my tins for keeping smaller paint brushes in, but I can definitely see myself extending the storage to pen pots and jewellery storage once the collection starts growing. Trevlig blogg har du tycker jag. Hälsningar från både en konst och te älskare.